Bishop James Jones with a personal reflection for Good Friday on Psalm 22. 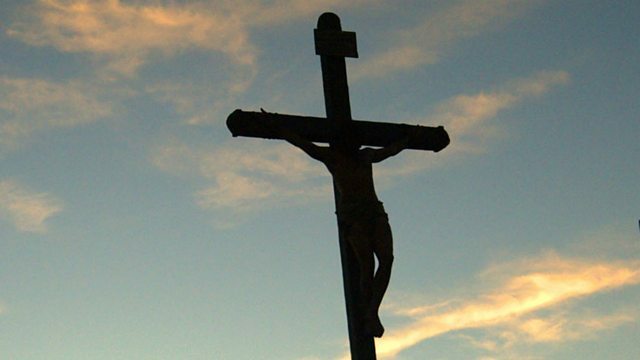 Why should Good Friday be called Good? Whichever way you look at him, with faith or without, Jesus was an innocent man who died a cruel death. A man who fought injustice and who was in the end denied justice. As with every time an innocent person is slaughtered, this was a bad day in the history of the human family. A good man, who healed the sick and helped the poor, he didn’t deserve to be despised and rejected, to be taunted and laughed to scorn. As he died, out of his troubled soul poured words from the 22nd Psalm: "My God, My God, Why have you forsaken me?" In this year's Good Friday Meditation, Bishop James Jones reflects on Psalm 22 through readings, music and personal stories. He talks about how we react to tragedy and those difficult times when we fail to hear the voice of God. And he contemplates the challenge of forgiving someone who has caused us great pain. Gee Walker, the mother of Anthony Walker who was killed by someone with an ice axe. What is it like to be left at the foot of the Cross?